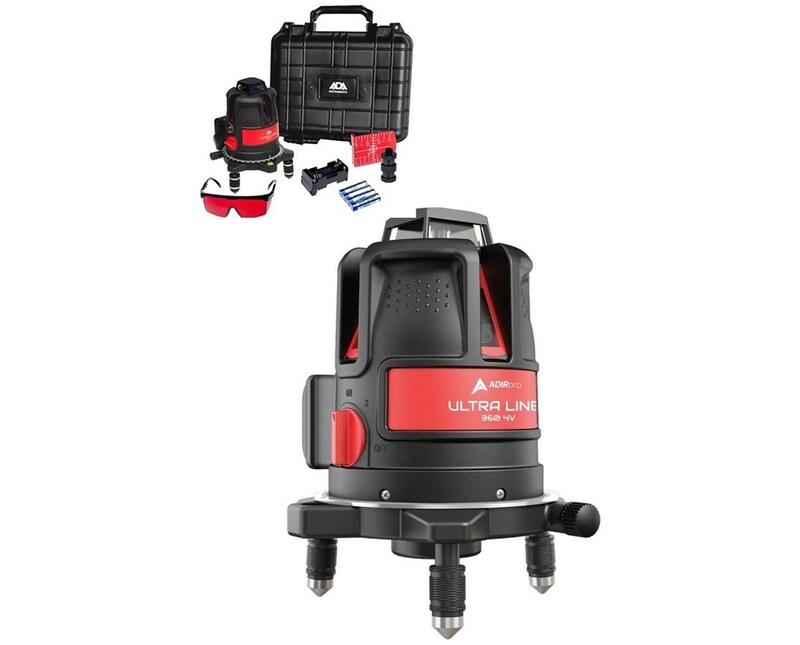 Perfect for all sorts of layouts, the AdirPro Ultra Liner 4V 360 Degree Point and Cross Line Laser projects multiple beams for leveling, plumb, and square alignment. 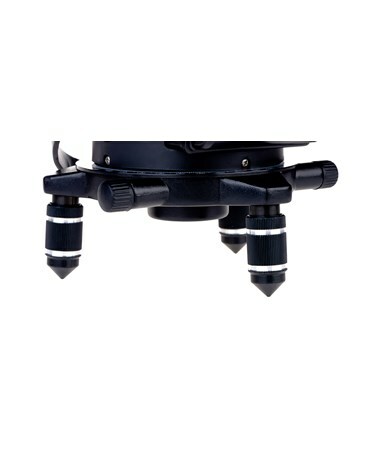 It has a working range of up to 230 feet (70 m) with a laser detector or up to 65 feet (20 m) without a receiver. 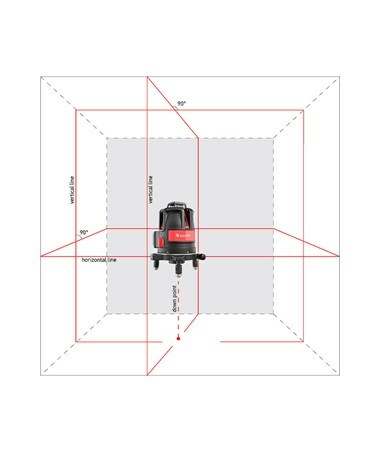 Self-leveling within ±3 degrees, this line laser can be used either in self-leveling mode or angle mode. 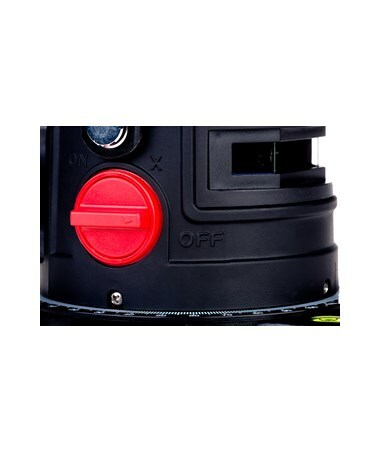 If it is out of the leveling range, the device will emit an audio alert. 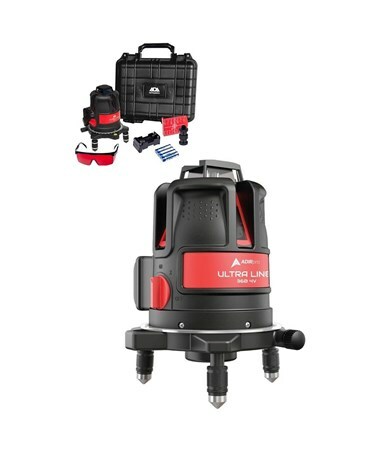 The Ultra Liner 4V has an accuracy of ±1/16 inch at 3 feet (±0.2mm at 1m). 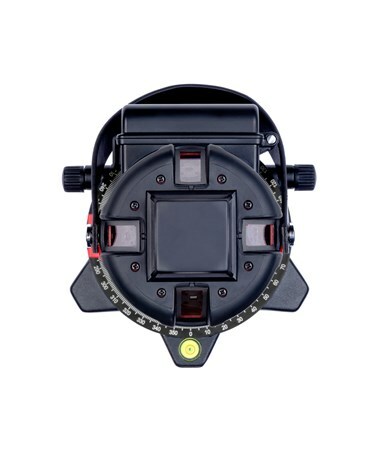 It features one 360-degree horizontal beam and four vertical beams, giving you a square coverage of two intersecting 300-degree vertical beams. 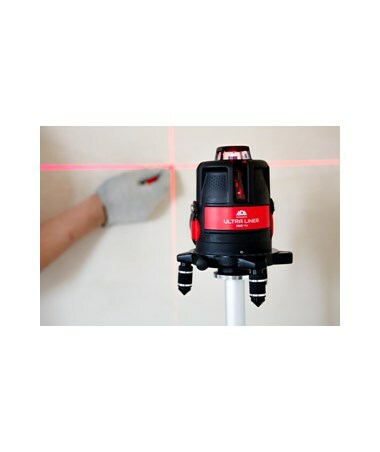 This multi-line laser also has a 90-degree plumb down point. 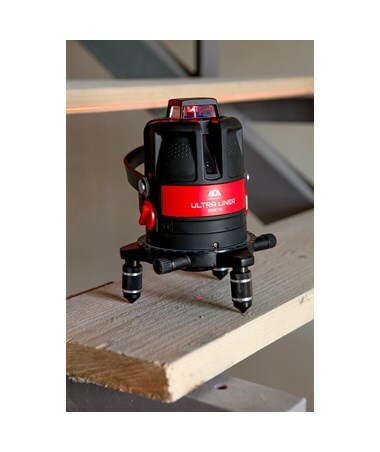 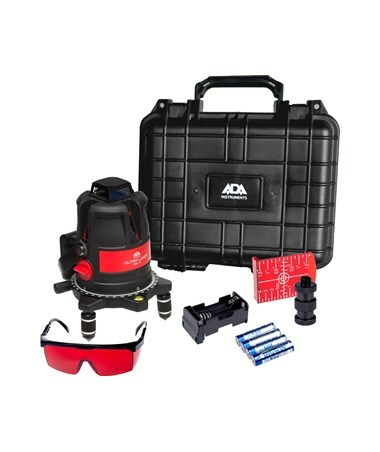 With an IP54 rating, this AdirPro red beam line laser is dustproof and water resistant. 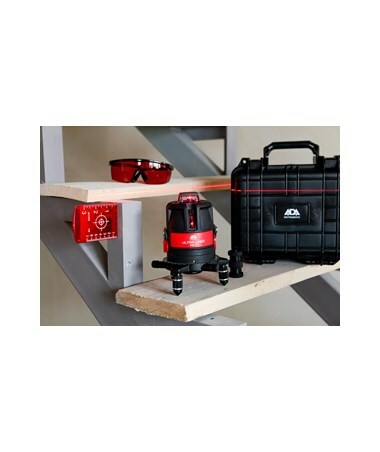 It has a battery life of up eight hours of continuous use. 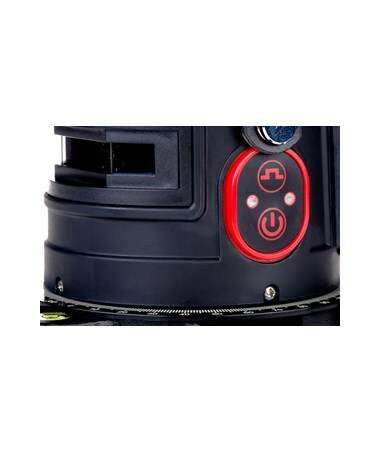 To extend the battery life, there is an option to choose the beams you want to project - horizontal only, or with one, three or four vertical lines simultaneously.